The Record Company will appear as a headlining band for the fourth annual Bonfire Block Party in Eagle, taking place Friday and Saturday, June 1-2. Limited early bird ticketing is available and the full musical lineup will be announced March 20. Cost: $17/$32/$95 (Limited Early Bird ticketing). The streets of Eagle are going to be rocking for the fourth annual Bonfire Block Party, June 1-2. 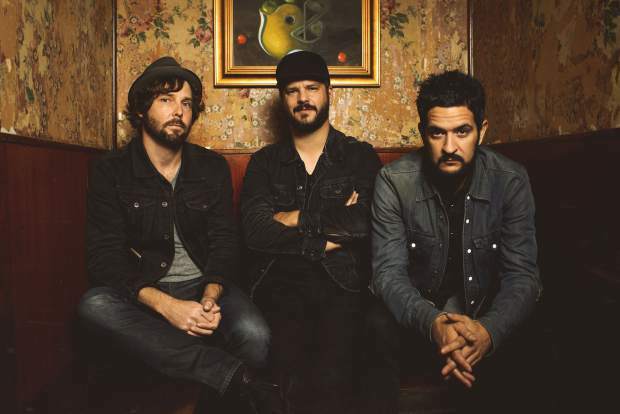 The two-day street festival, put on by Bonfire Brewing and Optimum Events, announced the first of two headlining bands — Grammy-nominated trio The Record Company. In February 2016, The Record Company released its first debut album, “Give It Back To You” — 10 songs made from the bassist’s living room in Los Angeles. By June 2017, the band had won numerous accolades, been nominated for a Grammy Award and landed the opening act on John Mayer’s first solo tour since 2014. The Record Company joins blues rocker Nicki Bluhm and Creole legends Dirty Dozen Brass Band as other main stage acts for the outdoor street concerts. The full musical lineup for the Bonfire Block Party will be announced later in March. Limited early bird tickers are available and feature a VIP Experience, two-day Sili packages and two-day wristbands. For more information and to purchase tickets, visit http://www.bonfire blockparty.com.